On leaving the protection of Earth's magnetic field, many crews, beginning with Apollo 11, noticed occasional brief flashes appearing in their vision irrespective of whether their eyes were open or closed. The Apollo 14 crew made a basic study of the phenomenon after the cancellation of a mid-course correction manoeuvre that left them with time on their hands. 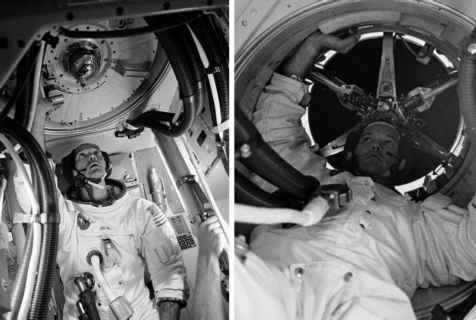 The Apollo 15 crew had some time set aside specifically to further investigate the phenomenon whereby the crew would sit in various positions in the cabin wearing blindfolds for an hour. The next two missions took the study further by having one crewman wear a film-based particle detector while he described the flashes he saw. Though it was attributed to cosmic rays passing through the head and interacting with the human visual system, the results of Apollo's small-scale experiments were inconclusive. Long-term dedicated experiments on board the space stations Mir and the ISS showed that they could also be detected in Earth orbit. The crews carried out other experiments, both scientific and technological, during their coast home. The sensors built into the SIM bays of the J-mission CSMs could no longer look at the Moon but opportunities were taken to aim them at selected objects in deep space. For example, just prior to Apollo 15, the Uhuru x-ray astronomy satellite had discovered a strong x-ray source called Cygnus X-1. The spacecraft's x-ray spectrometer was therefore brought to bear on it to help to characterise its emissions.